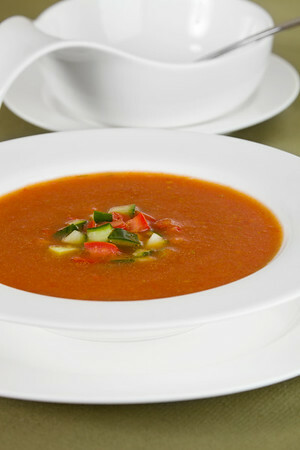 Cold soup called gaspacho in white dishware. Focus is on tomato and cucumber piece. Very shallow depth of field.